For any child, a trip to the ballpark is truly a dream come true. You remember. Everything is so big, bright, and vibrant including the memory. That's why saving each ticket means saving the moment. 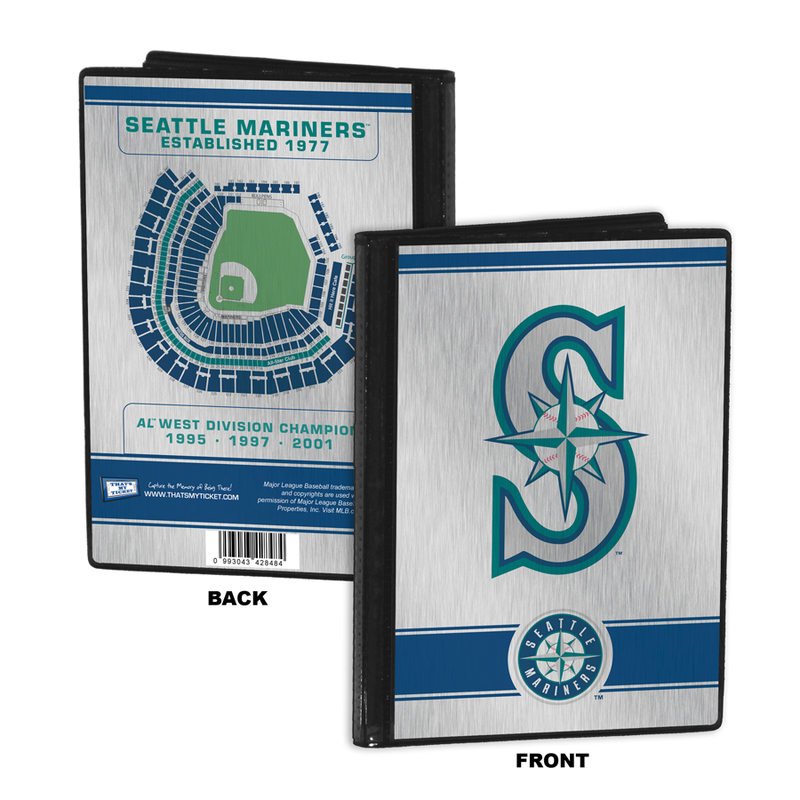 And our Mascot Ticket Album is just the place to preserve your child's memory of the ballpark sights and sounds that made each trip so special. A Ticket Album is a photo album for your children's tickets and allows you to create a single display that will keep the memories of the games they've attended as fresh as the day they were there. Also makes an ideal item to present tickets to them as a gift. Includes seating chart on back. 32 pages holds up to 64 tickets. Fits tickets measuring up to 3 3/4" x 8 1/4. Pockets on inside covers can accommodate oversized tickets. Overall size 8 3/8" (W) x 8 3/4" (H) .Officially licensed by MLB. Note: Tickets shown not included. For any child, a trip to the ballpark is truly a dream come true. You remember. Everything is so big, bright, and vibrant including the memory. That's why saving each ticket means saving the moment. 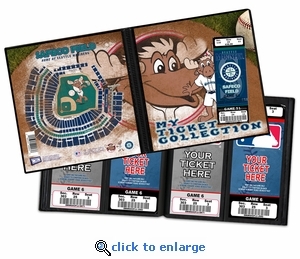 And our Mascot Ticket Album is just the place to preserve your child's memory of the ballpark sights and sounds that made each trip so special. A Ticket Album is a photo album for your children's tickets and allows you to create a single display that will keep the memories of the games they've attended as fresh as the day they were there. Also makes an ideal item to present tickets to them as a gift. Includes seating chart on back. 32 pages holds up to 64 tickets. Fits tickets measuring up to 3 3/4" x 8 1/4. Pockets on inside covers can accommodate oversized tickets. Overall size 8 3/8" (W) x 8 3/4" (H) .Officially licensed by MLB. Note: Tickets shown not included.